It took a great leap of faith for us to switch Cotton over to a 100% commercial diet – Thankfully this proverbial leap had substantial benefits for Cotton and we have definitely made the right choice! “You are what you eat.” – A healthy and balanced diet is essential for everyone, pets included. Ever since Cotton’s first day with us, she has been on a home-cooked diet, where we strived to give her what we felt would be a proper and complete diet. However, no matter how adequate our food for her could be, there was always this nagging frustration that we would never truly know whether what we felt was best for her, would actually be the best. Without a proper chemical analysis of the composition, nutrients and minerals in her cooked diet, it is difficult to deduce whether it would actually be balanced and healthy over a period of time. After seeing so many pawrents switch their furkids to raw food diet and the countless benefits we heard, it just seemed that the next best step would be a Raw Meat-Based Diet (RMBD). But, having read that in a recent study*, 57 out of the 90 homemade RMBDs trialed had serious nutritional imbalances, doing more harm than good, we decided it would be best to source for an AAFCO standard commercial raw food diet – Primal Freeze-dried Formula. Disclaimer: I am not a veterinary nutritionist or a veterinarian. The following views and mine and mine alone. 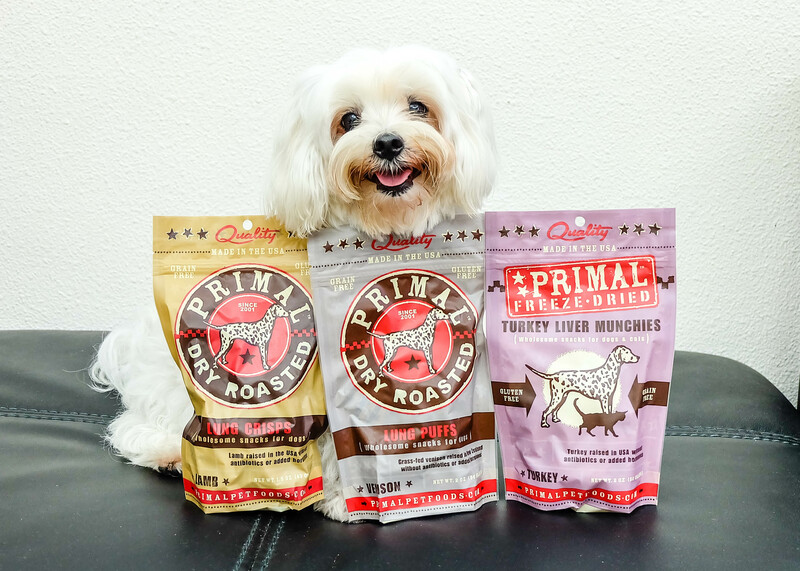 Cotton is under sponsorship for Primal Freeze-dried Formula, but if she wasn’t, I would still fork out money out of my own pocket (which I did initially) because I know Cotton is and will do well on Primal Freeze-dried Raw Formula. 1. What exactly is Raw Diet? Raw feeding was initially introduced by Australian veterinarian Ian Billinghurst who suggested that adult dogs would thrive on an evolutionary diet based on what canines ate before they became domesticated: Raw, meaty bones and vegetable scraps. There have been certain evidence to show that raw meat does indeed have higher digestibility in terms of macronutrients than cooked meat**, and many owners have sworn by raw diet helping their pets with ailments or just general health maintenance. When we first looked into commerical raw diets, we decided that freeze-dried raw would be the best option as freeze-drying retains more nutrients and vitamins as compared to dehydrated raw foods. We then shortlisted several reasons as to why Primal would be superior over other brands available in Singapore. After hearing miraculous stories of raw diet, we were curious about the effect on Cotton. 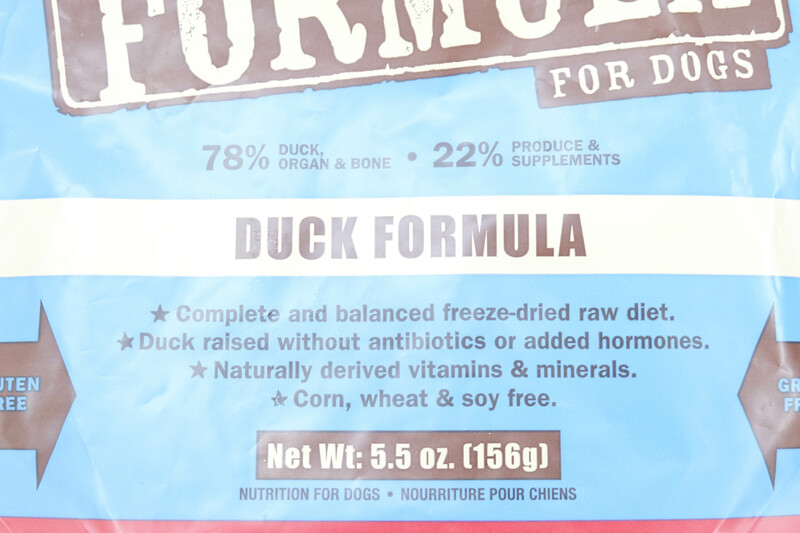 To date, Cotton has been on 100% Primal freeze-dried formula for nearly 2 months. We were truly amazed at the differences! Skin & Coat: Softer, glossier and whiter. 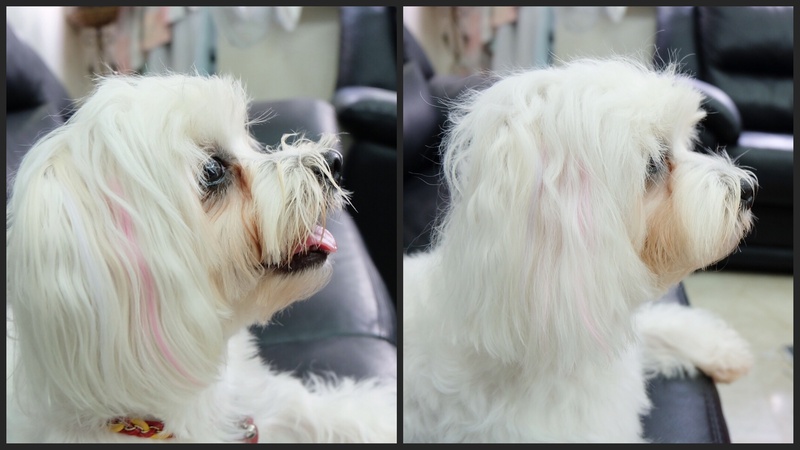 Mama Tan commented how Cotton looked so much better! Energy Level: Much more consistent and higher energy level. In the past there will be only 1-2 days a week where she got excited that the family is awake, but now it’s practically everyday I wake to kisses in my face! :* She can now even jump onto the sofa and bed when in the past her tiny legs couldn’t do so. She’s also much more excited to go for walks and wants to continue walking when her walk is over. Tear Stains: Her tear stains drastically decreased and the staining faded. There’s also less tearing from her eyes. I was impressed to say the least seeing the before and after pictures of Cotton taken 3 weeks apart. Hopefully soon they will all disappear and I can get my white puppy back! Note: I did talk to some people who were feeding a competitor brand of Freezedried Raw Food. Their main reasons for feeding that over Primal was because they were told explicitly that Primal would result in more tear stains. Where their marketers got that evidence or claim from, I have no idea, but here’s evidence that Primal will not cause more tear stains, but help with the reduction of tear staining. Other changes: Her poop amount has definitely decreased while her weight has maintained, hence I would wager a guess that more food has been digested and absorbed. Some recommend slowly introducing the raw diet in increments to acclimate your dog to the change in diet. Others recommend “cold turkey”, where you either fast your dog for a day and transition your dog into 100% raw diet or immediately start with the 100% raw diet. For Cotton, we gave her 50/50 primal and home cooked food initially followed by 100% primal. 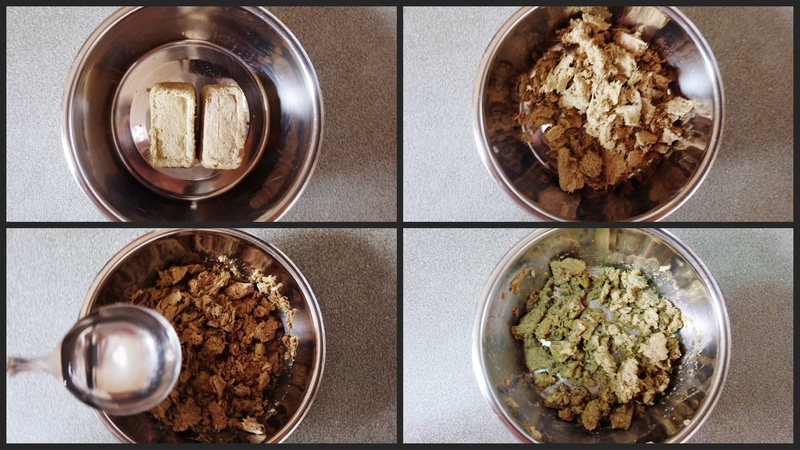 She went through the initial “detox period” and had soft, pungent stool for 1.5 weeks, but from then on her poop became firm, smaller and nearly odourless and we started observing the differences as mentioned above. It’s really simple to prepare primal: Just crush the primal nuggets into smaller pieces as shown, then add 1tbsp of water for every Primal nugget. Use a fork or spoon to mix the crushed nuggets until it rehydrates – It is then ready to serve! You can use this feeding calculator to determine how many nuggets your pup should be taking per day. A diet high in fat content can lead to pancreatitis, even if the fats are raw and the type of energy a dog’s body will utilise first. The high fat content present in competitor brands might be suitable for dogs who are extremely active, or working dogs, but not high-density-living dogs that have a walk of 20-30mins every other day. To me, it just spells trouble – Obesity and health problems a few years down the road. Proponents of other brands have also brought up that Primal uses Sodium Selenite. Sodium Selenite is no longer used in Primal Pet Foods. Instead, selenium is used, which research shows it is an essential mineral in small amounts (like every other mineral), and regulated at a maximum amount of 2.0 mg/kg on a dry matter basis. 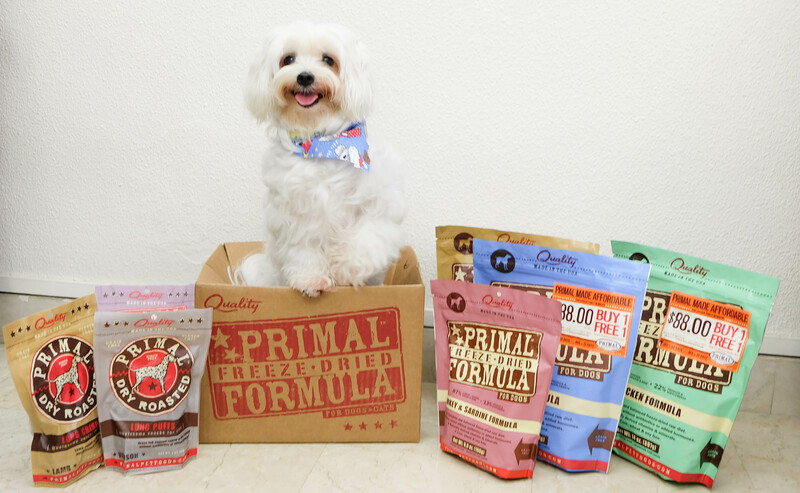 It ultimately boils down to trust with Primal Pet Foods – A company going 14 years strong with no recalls for their dog food formulas. 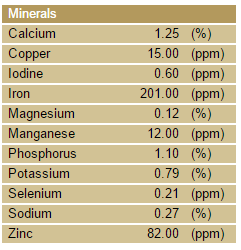 At their website, you can also see the exact ppm of selenium (and other minerals) in Primal Formulas. Cost wise, it will be more expensive for bigger dogs. Currently a 14oz bag will last Cotton 30days, which is roughly $1.50/day. However, many owners with bigger dogs practice “raw boost”, in which a mix of Primal nuggets with existing food the dog is eating to give an added edge and benefits. Primal Treats for Singapore come in 3 varieties – Freezedried Turkey Liver Munchies, Dry Roasted Lamb Lung Puffs and Dry Roasted Venison Lung Puffs. 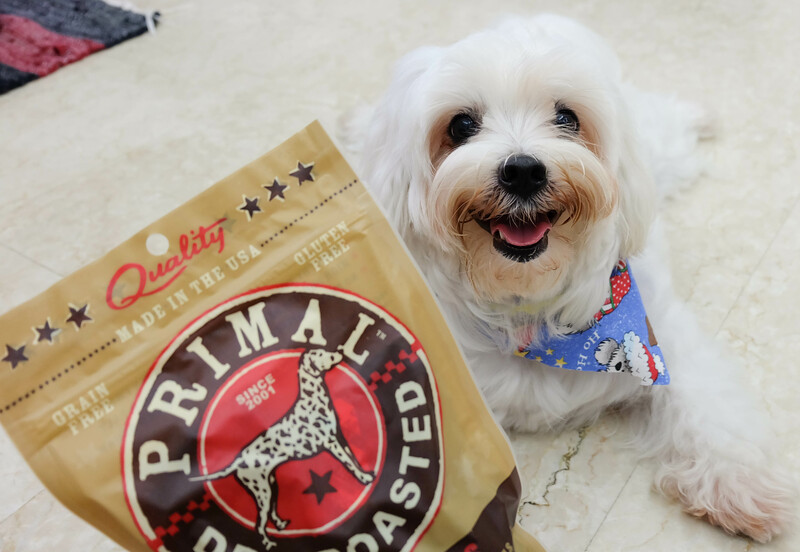 All in all, Primal Pet Foods Inc is a reputable dog food company that produces both healthy foods and snacks for dogs, and we are thankful for the chance to review this product! With just $1.50 a day you can be feeding your dog a 5 star dog food! To obtain samples of Primal Freeze-dried Formula, simply head to B2K’s facebook or instagram and drop them a nice message! 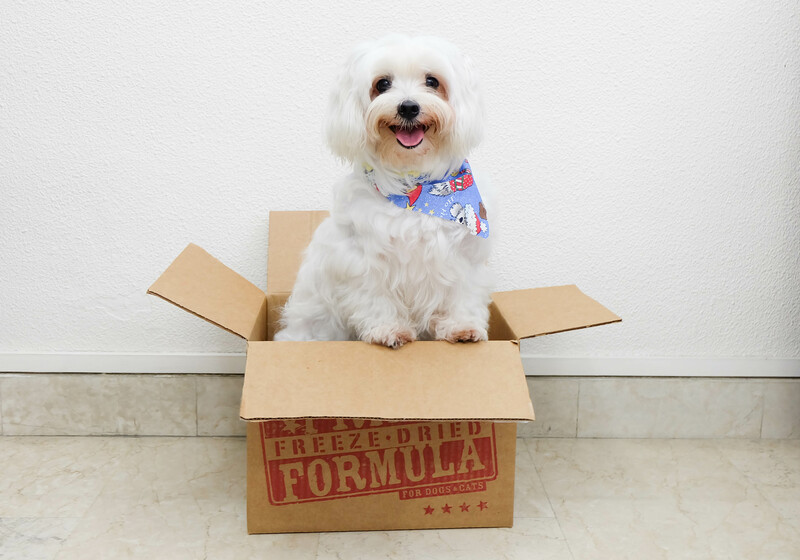 With regards to the 1-for-1 Primal Freeze-dried Formula, it will be an indefinite promotion for the foreseeable future according to Primal’s distributor, B2K. 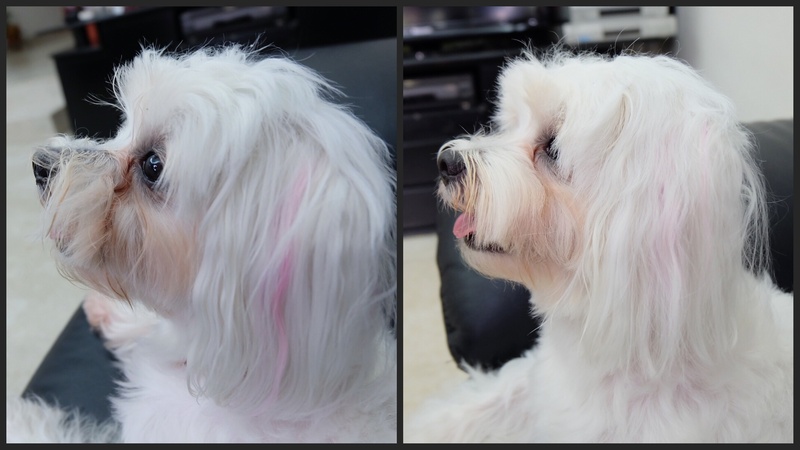 Visit Cotton’s Instagram and Facebook! Citations: *Dillitzer N, Becker N, Kienzle E. Intake of minerals, trace elements and vitamins in bone and raw food rations in adults dogs. Br J Nutr 2011; 106:S53–S56. Hey, a 14oz bag can last your dog 30 days? How many nuggets are you feeding?